Inhabitat’s Jill Fehrenbacher recently hit the scene of the 2012 North American International Auto Show in Detroit, where she toured the laser-filled show to bring you an exclusive look at the world’s hottest new electric vehicles and hybrid cars! She got the lowdown on the sexiest new hybrid vehicle from Lexus as well as a sneak peek at Volkswagen’s upcoming Jetta Hybrid and the E-Bugster electric Beetle concept. She also took an inside look at the quirky styling of Smart’s For-US electric pickup truck and the brand new Ford Fusion Energi plug-in hybrid, which is sure to be a consumer favorite when it hits the streets this year. Check out our exclusive video above for the most exciting green cars at from the 2012 Detroit Auto Show! We found ourselves gaping at the sheer volume of eco vehicles on display this year at North America’s most important auto show. 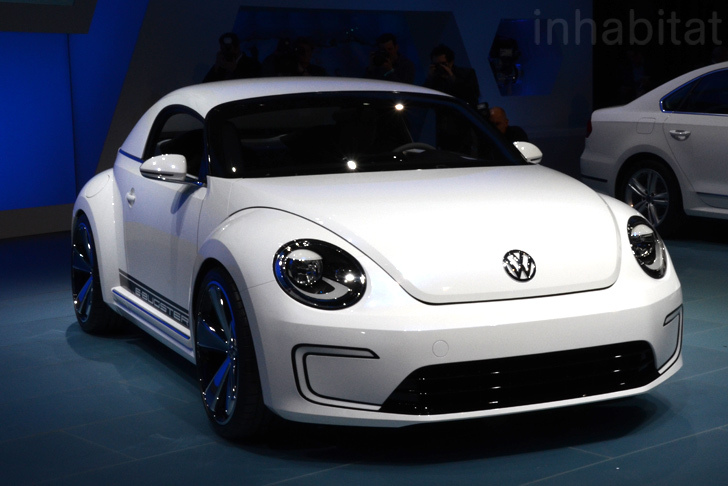 Everywhere we turned, another company was unveiling another electric car or hybrid vehicle. It seems everyone is clamoring to get a piece of the pie that the Chevy Volt and Nissan Leaf have been monopolizing for the past year. We saw eco cars unveiled with a variety of drivetrains – from the efficient engine of the Jetta Hybrid to the Ford Fusion Energi‘s plug-in hybrid technology, to the all-electric power of the Smart For-Us. Stay tuned to Inhabitat to learn when the great green vehicles from the Detroit Auto Show will be available at a dealership near you – and check out our roundup of the hottest hybrids and electric cars hitting the streets in 2012! Great video! Jill, I expect a ride in your electric mustang whenever that day comes! 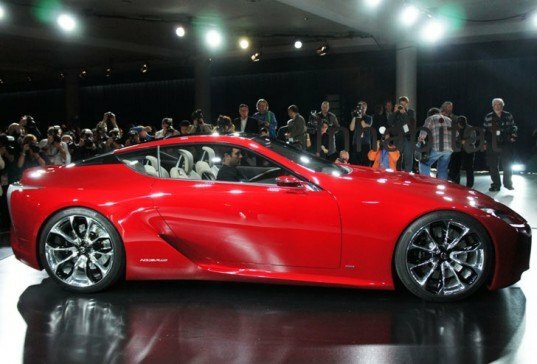 That Lexus is seriously HOT. Great coverage guys, the Detroit Auto show is quickly becoming one of my favorite events! Nice video. I love the Bugster. Super cute, yet has a Porsche-like appeal to it. It's inspiring to see such a sea change in the auto industry - can't wait to see some of these vehicles hit the streets! Inhabitat's Jill Fehrenbacher recently hit the scene of the 2012 North American International Auto Show in Detroit, where she toured the laser-filled show to bring you an exclusive look at the world's hottest new electric vehicles and hybrid cars! She got the lowdown on the sexiest new hybrid vehicle from Lexus as well as a sneak peek at Volkswagen's upcoming Jetta Hybrid and the E-Bugster electric Beetle concept. She also took an inside look at the quirky styling of Smart's For-US electric pickup truck and the brand new Ford Fusion Energi plug-in hybrid, which is sure to be a consumer favorite when it hits the streets this year. Check out our exclusive video above for the most exciting green cars at from the 2012 Detroit Auto Show!